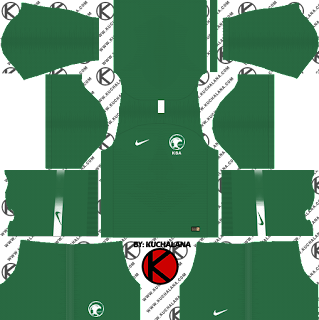 Saudi Arabia 2018 World Cup kits for Dream League Soccer 2018, and the package includes complete with home kits, away and third. All Goalkeeper kits are also included. 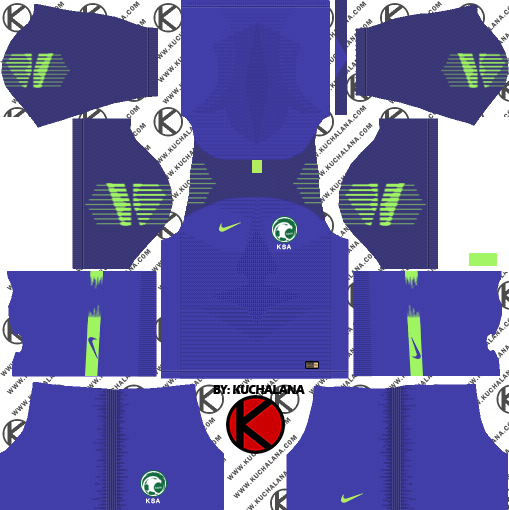 This kits alos can use in First Touch Soccer 2015 (FTS15). 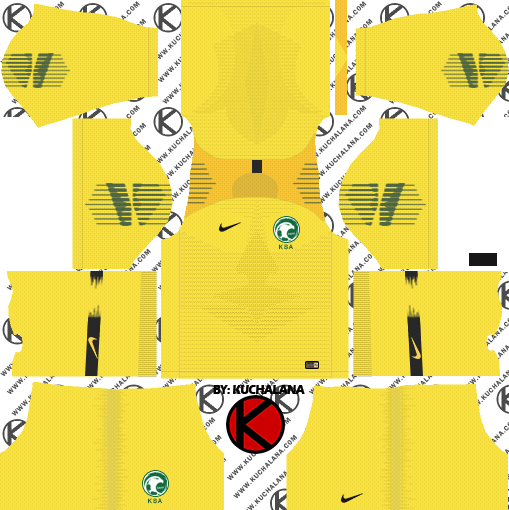 The shirts themselves do not have much to emphasize, making use of the new Nike template and traditional color combinations. 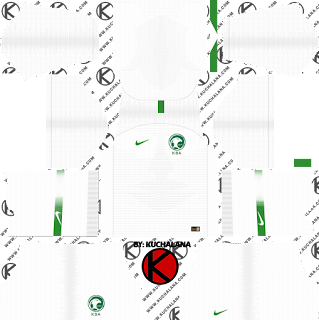 It jumps the novelty of the new shield of the Football Federation of Saudi Arabia and the use of the old logo on the back of the neck. The local shirt is painted bright white and green, while the visitor's shirt has a single shade of deep green. 3 Komen untuk "Saudi Arabia 2018 World Cup Kit - Dream League Soccer Kits"
could you please make 2010-11 barcelona kits?